Africa is a huge producer of rice. 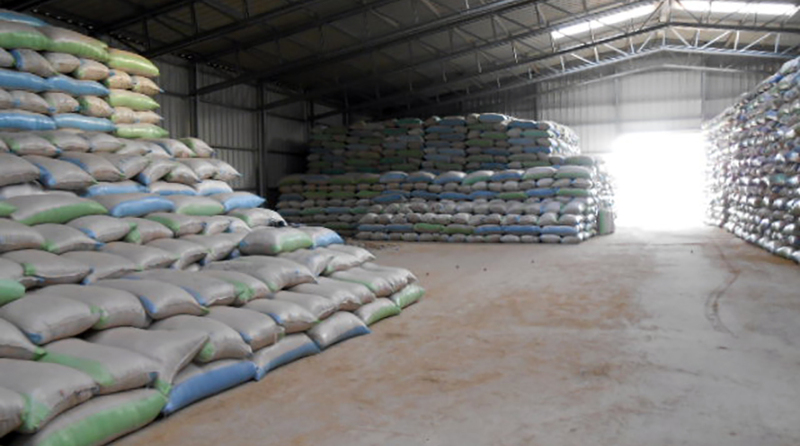 And the SFA, the Sénégalaise des Filiers Alimentaires is the largest of its kind in Senegal. 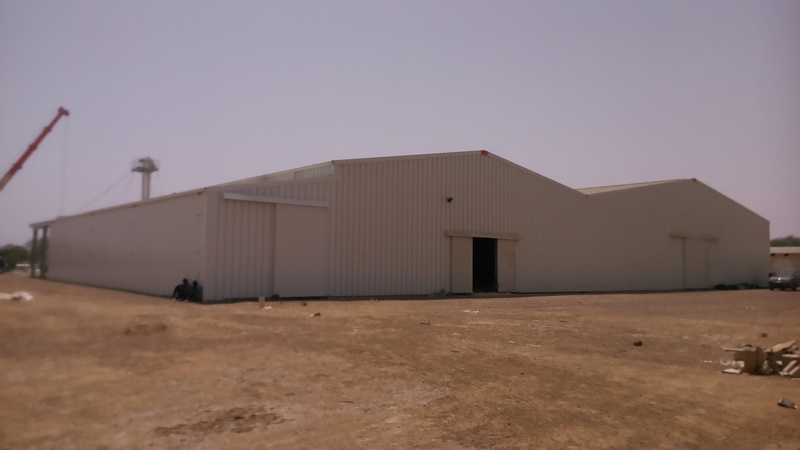 SFA needed two large coupled steel industrial buildings to house its warehouse, workshop and offices. The entire width of the steel hangars measures up to 50 meters – a huge amount of space. We integrated three large gates in the front façade of the pre-engineered steel buildings, making it easy for trucks to drive in and out to pick up new batches of rice. The Pink Lake is not only one of Senegal’s most beautiful regions. It’s also a challenging one. 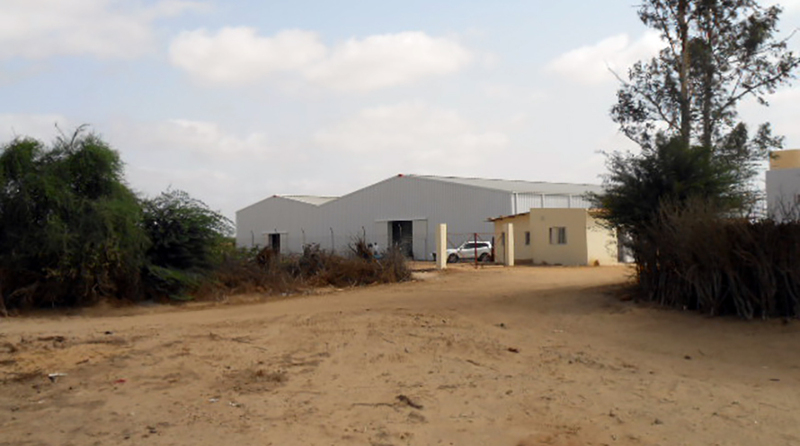 Heavy rains and major temperature differences are massive challenges for any agricultural building. 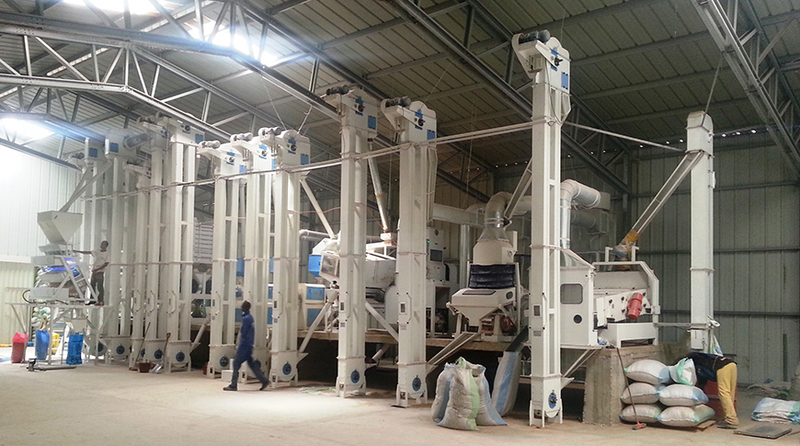 Our pre-engineered steel construction is perfectly suited for this type of environment. 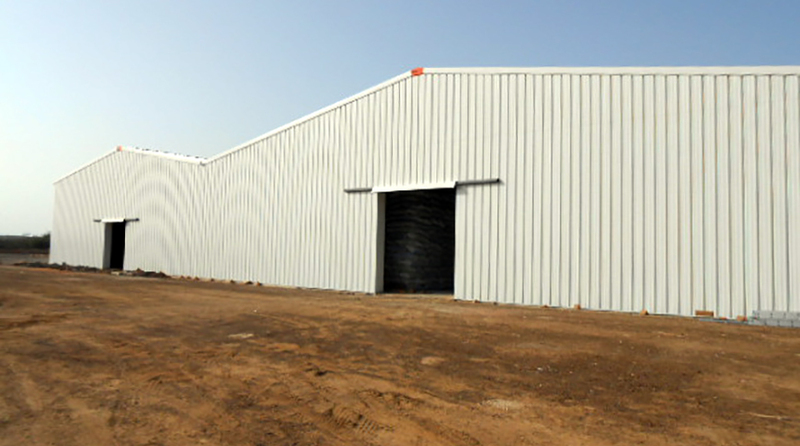 Frisomat steel halls withstand severe weather conditions and is guaranteed to last for decades. 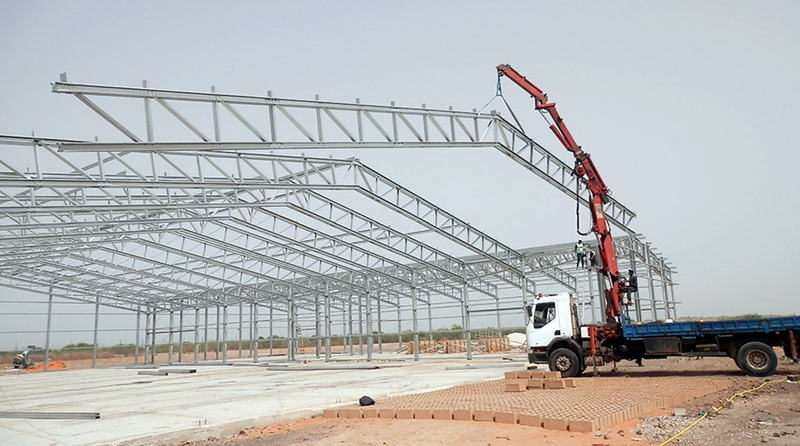 We also made sure the steel agricultural building is extendable should SFA decide to increase its activities in Senegal, or elsewhere in Africa. 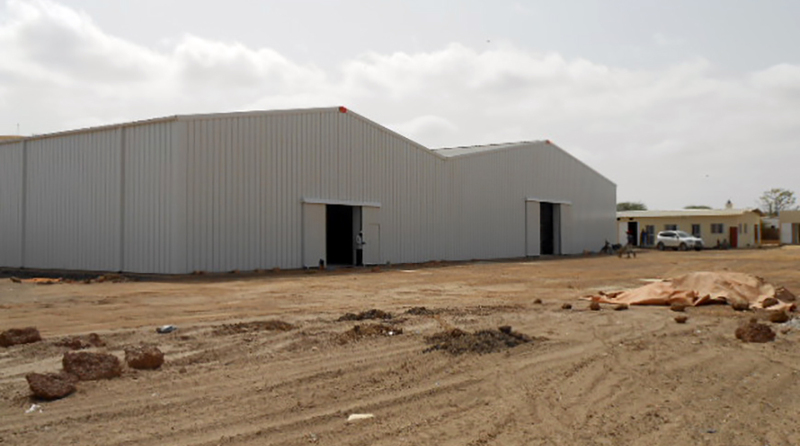 Extra warehouse and workshop space can easily be attached to the existing steel production halls, without major construction works. 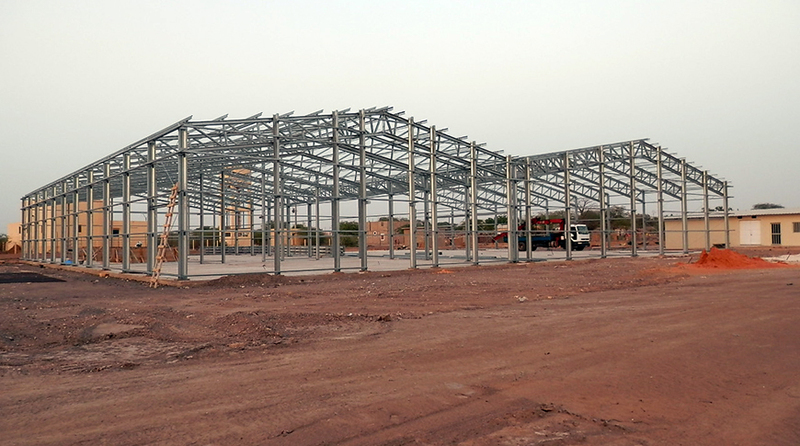 Thinking about your own steel production hangar?